If I had a dollar for every phone call or email I get this time of year with someone frantically asking me what the heck they are going to eat on Passover without packing on the pounds or destroying their health, I’d probably have enough money to go to a nice hotel for Passover and thereby ignore said phone calls and emails. Ok, perhaps I’m exaggerating a tad (do you know how much it costs to stay at one of those kosher for Passover hotels? Yikes! ), but you get the point…. Of course I’m happy to help, so listen up, because if you know anything about me, it’s that I hate repeating myself (the hubby can attest to that ). So here is my very deep and insightful thoughts regarding this topic: the more unhealthy, packaged, processed food items you eat throughout the year, the more difficult of a time you will have on Passover. Wow. That is some pure genius right there. You see, the challenge is, in order to eat healthy on Passover, you have to completely avoid the temptation to buy anything pre-made. The companies make these products for your “convenience” but it is nothing more than a very expensive way to throw all the garbage ingredients they could find into a box and then add chemicals and preservatives to keep the garbage on the shelf as long as possible. Yes, it’s THAT bad, don’t even get me started. So what should you do? It’s simple and it’s easy. Go back to the basics. For G-d’s sakes, people it’s only a week – or 2, if you change over your kitchen far in advance due to your OCD, but that’s another story! Here is a list of foods to eat and foods to avoid on Passover. Fruits of any kind, but avoid eating after a meal as it inhibits digestion. Quinoa, assuming your Rabbi approves this contraversial non-grain. Organic spelt matzoh, which is very easy to find these days and more gentle on the digestive system than whole wheat matzoh. Grapeseed oil for baking and stir-frying; olive oil for salads and other cold dishes. Incorporate nuts into your food prep, assuming you are not allergic of course, as nuts have healthy fats and will keep you fuller longer. As always, I recommend to avoid dairy products, with the exception of plain or vanilla yogurt – If you can find organic yogurt that is Kosher for Passover, that is the best choice. Otherwise, Danone is okay; they are the only company I could find here in Toronto that has less sugar, and no potassium sorbate or sodium benzoate, two potentially harmful (and awful-tasting) preservatives. Kugels and other dishes with matzoh meal, it will just add unnecessary carbs and calories. In other words, even if your custom is to eat Gebroks (mixing matzoh into your food) you’re waaay better off without it. Limit your intake of sugar and potato starch. There’s no need to put a ton of sugar or potato starch in your cakes (a half ton will do, thank you). Cottonseed oil, a highly genetically modified substance that shouldn’t even be classified as a food. Some packaged food products may understandably be difficult to do without, such as ketchup and mayonnaise (see how to make your own mayo HERE) – and of course those ladyfingers, what on earth would we do without ladyfingers? -but not as many as you think. Always look for items that contain ingredients you understand; many items can be found without chemicals and preservatives if you look hard enough. Or, make all your own fresh food, you will feel better and it will get rave reviews from family and freinds. If you stick to these principles, you will have no trouble maintaining your healthy lifestyle on Passover. HEALTH FOOD STORE PRODUCTS ARE NOT NECESSARILY HEALTHY! In this vlog, I talk about 3 decidedly unhealthy foods you will find at your local health food store. Tempeh and tofu are a whole lot different from each other than you may think. Did you know that 85% of Americans beleive that tofu and soymilk are healthy? If you are one of those people, I’ve got a newsflash for you: tofu, soymilk, soy yogurt, soy pudding, soy cheese, soy formula, soy ice cream, soy burgers, or for that matter, any soy-based food acting as a sad excuse of a replacement for some other food, are really NOT good for you! While you take a moment to let this shocking information sink in, or you quickly navigate away from this page because you’re a vegetarian who doesn’t want to hear any more blasphemous remarks about the only protein you consume, please note that I am talking about UNFERMENTED soy, such as the ones mentioned above and ISOLATED SOY PROTEIN, where the soy protein is isolated from the whole soybean, as in protein bars and powders. Hence the reason Tempeh is a whole different story. Let’s talk about the bad stuff first. Unfermented soy contains substances that block the body’s absorption of minerals. They also have enzyme inhibitors which hinder protein digestion and high amounts of omega-6 fats which promote inflammation (as opposed to omega-3 fats, which decrease inflammation). Soy also mimics and sometimes blocks the hormone estrogen. Reproductive disorders are therefore a side effect of too much soy. The most common problem with soy consumption, though, is a depressed thyroid gland, which can lead to weight gain, lethargy, fatigue, hair loss and loss of libido. The other real problem with soy is that more than 80% of soy is genetically modified (GMO). This adds its own set of problems, especially the high allergy rates to soy that we are currently seeing. FERMENTED soy, on the other hand, like Tempeh or miso, and even soy sauce – just make sure it’s organic and not artificially made using a chemical process – does have health benefits. This is because after the long process of fermentation all those negative substances mentioned above are greatly reduced and their beneficial properties become available to your digestive system. Incidentally, I really like the taste of the tempeh strips shown left. What about Edemame? Edemame beans are young soybeans and do not contain the amount of toxins found in mature soybeans, so they are fine to eat in moderation. And to answer the other question that you are thinking right now, in the Asian culture they eat small amounts of whole non-GMO soybean products, not the vast amounts of tofu and soy products we do here in North America! 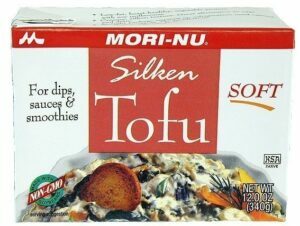 If you insist on consuming soy products such as the ones mentioned in the beginning of this article, do so in moderation and make sure the label states that the item contains only non-GMO soy. And, obviously, do not consume any soy if you have a sensitivity or allergy to it. I’m generally not a huge fan of the whole spa facial or body treatment experience. Maybe it’s because I was a man in my past life (now before you start thinking I’m wacko, I’m just sharing the oh-so-hilarious conclusion some freinds of mine have come to over the years due to certain aspects of my personality….) Or maybe it’s because I don’t have the patience to sit and listen to zen/instrumental/trance or some other awful “relaxing” music, while a stranger is trying to talk to me and scrub my face or body at the same time. And don’t even get me started on the bad-smelling, chemical-laden products most spas use! The few that claim to be using all-natural products usually aren’t, and the ones that actually are (Aveda, anyone?) use products that smell nauseating. But every gal needs a facial once in a while, a manicure for a night out, and of course, a massage for those tired muscles after working out. That’s why I’m writing this – to tell you about a cozy, totally at ease, brand new place called Eizeh Yofi, located in Thornhill, Ontario, owned by my good freind – and the only person allowed to know the exact number of pimples that show up on my face once a month – Rina D. Now, I’m not just promoting her because she’s my freind, let me assure you that I don’t promote anything I don’t beleive in, which you would already know if you are reading this, being one of the 10 devout followers of my blog! At Eizeh Yofi (that’s “How beautiful” in Hebrew, by the way), Rina does a terrific job with all her esthetics and makeup artist services, but what I’m most excited about is that she uses organic gourmet Yum skincare products, which smell so good you literally want to eat it off your face. Don’t do that though…..at least not while Rina is looking. The products are chemical free and have all natural, but not harsh or irritating ingredients, which is so important to a Holistic Nutritionist like myself, but should be important to all of you as well. The toxins you put on your bodies through skin care, are just as important as what goes in your bodies with a healthy diet and the right supplements. So not only are you toxin-free, but you walk out of there with glowing, healthy skin and feeling totally rejuvanated. As for irritating music? No problem here, thank-you-very-much. If you like that zen-stuff, by all means enjoy. Otherwise, feel free to bring your own mp3 player and Rina will pop it in her speakers for you. Next up for me? Another facial of course, followed by a mani, a pedi and maybe even a body treatment. Hmmm, I may just like all that girly stuff after all……. Welcome to my first video blog where I discuss my supplement suggestions for a sore throat, cough or cold. I use them personally because they really work! Please note: these supplements may not be suitable for everyone, always consult with a health care provider if you are not sure.